What if a person cannot be found or is evasive? 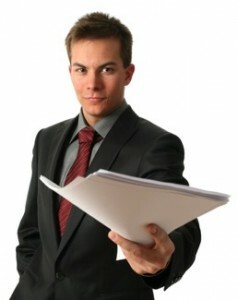 When it comes to being a process server in Phoenix AZ, every day is surely unique and different. But beyond that, there are always cases where people skip out on obligations and the due process of the law, and simply do not want to be found under any circumstances. As such, it is important to hire a Phoenix process server who knows how to adequately track down their whereabouts, and serve a person who is either being extremely evasive, or simply doesn’t want to be found. While the inner detective in you may think we simply go on Facebook to search for those who don’t want to be served, the process is actually quite a bit more professional than that. While social media is increasingly playing a role in serving due process, there are other more professional tactics we use to ensure that the evasive person comes to light and you benefit from that event. Call (480) 420-0877 for Special Rates! >>> Learn How to Get Started! We have all the tools and resources that we need when it comes to serving and tracing those who have skipped out, from address verification and asset search tools, to the ability to do criminal background checks on the whereabouts of those we are entrusted to serve, to detective surveillance and stakeouts to ensure those that need to be served are done so quickly, discreetly, and safely. In fact, we have all the tools and relationships with all the important parties in the Phoenix metro area so that no matter where that person may be hiding, we can process them adequately and serve their various paperwork or warrants as necessary. More important than the tools themselves come the function of good relationships in the game of process service. We are fortunate to have beneficial and mutual relationships with the local courts in the Phoenix area, the county assessor’s office, the local credit bureaus, motor vehicle departments, and other various government departments and record keeping services. This, in turn, makes it significantly easier to track down people that simply don’t want to be found, and do so in a timely and discreet manner, serving them as necessary and letting you move on with the case, your life, and more. Our process service work does not revolve around sleaze, violence, or sensationalism. Instead, we work so that our process service is consistently discreet, professional, worthwhile, successful, and efficient. No more worrying about whether or not your service in question will ever be handled; with our process service experience in the Phoenix Area, every complaint and issue is handled with the utmost care, diligence, and professionalism. This entry was posted in our-blog. Bookmark the permalink. Tom's the MAN! I worked together with reviewer ArchAngel to tag team the mother of our children with extremely important paperwork. Tom got it done quick and at a very reasonable price. This guy will do whatever he has to do to and go wherever he has to go to get the paperwork delivered as quickly as possible. What a Service!!! Never been happier with the efficiency, accuracy and timeliness of their service. Nice people, great service. Extremely pleased.